Remakes are the new wave of arcade gaming it would seem. 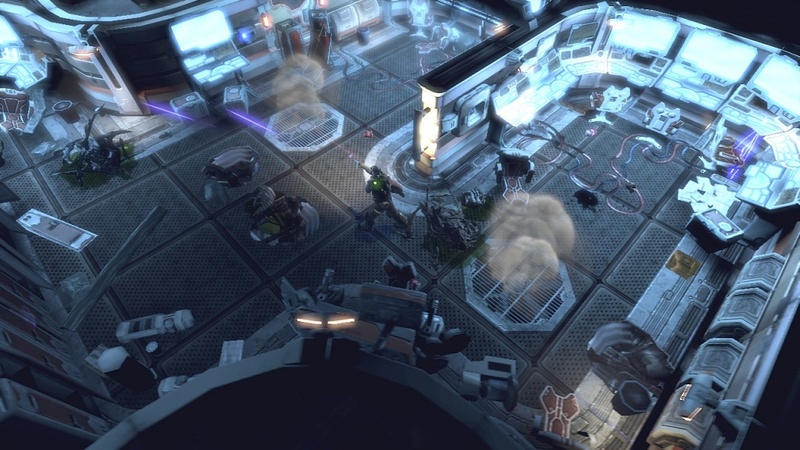 Now, Alien Breed Evolution is next in line with an Unreal engine makeover. We've passively kept a hopeful eye on this title, waiting for more details to sink some slimy alien-teeth into. Alien Breed Evolution is a top-down shooter, remade from the 1991 top-down shooter for the Commodore Amiga. The Alien Breed franchise was inspired by the Alien movies that gave Sigourney Weaver a welcome place in Sci-fi-loving hearts everywhere. As with a fine wine, this gaming series has had plenty of time to age into a fine Unreal-powered arcade game. 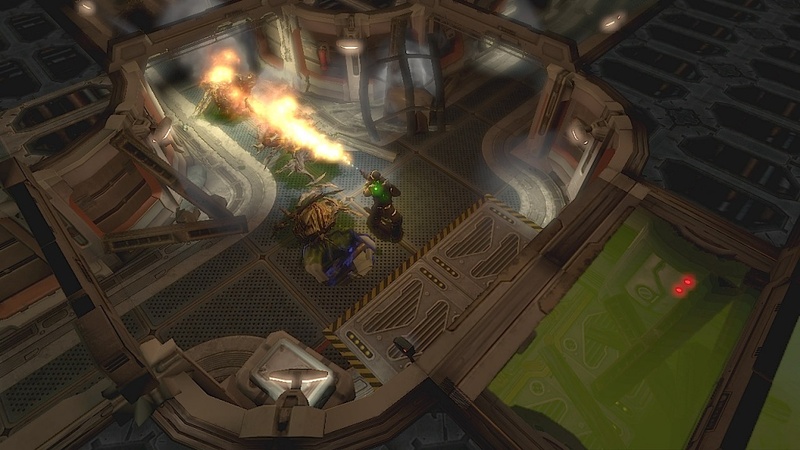 In this top-down shooter, you'll fight hordes of slimy Aliens through a series of chapters. In those chapters, you'll make your way through a dead ship with plenty of dead people, doing your best not to join them. 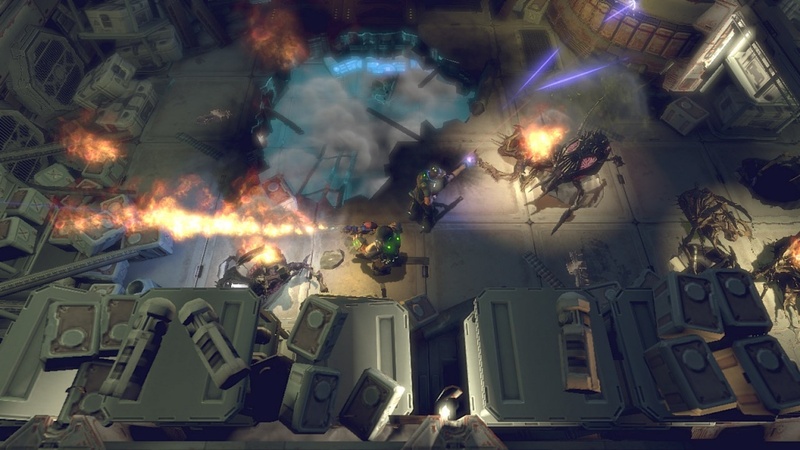 Approximately 15 hours of Alien shooting or exploding can be expected, with a healthy dose of Co-op to go with it. 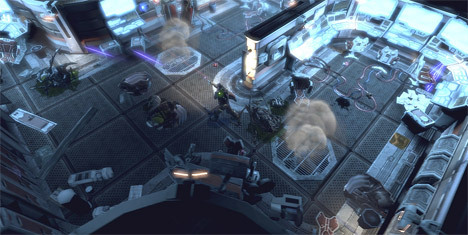 MTV Multiplayer blogger Russ Frushtick went hands-on with Alien Breed Evolution in the co-op kind of way. "When I took my turn I was plowing through the adventure in co-op, which supports up to two people on the same system or online. Flamethrowers, machine guns and pitiful pistols were found by scouring the ship, digging through lockers and boxes. There are also health pick-ups and grenades to help you stay the course." This course will lead you through progressively worse areas, as you follow in the wake of these monsters. We're looking forward to more details on this title, since it sounds like they're just getting warmed up. Alien Breed Evolution is said to be the first of a trilogy set for the Xbox LIVE Arcade and Playstation Networks. This project is a major undertaking for Team 17, who is actually responsible for the original Alien Breed titles. Team 17, the indie developer responsible for Alien Breed Evolution wanted to make sure we know it's not all fun and games. This trilogy project is said to be "one of the most expensive digital titles to-date," ringing out at about $2.5mil to develop. As the good saying goes, you have to spend money to make money. Hopefully, this is money well spent! Xbox LIVE Arcade will be the first to release Alien Breed Evolution in October, and the PSN release will follow shortly after. Page created in 0.4264 seconds.